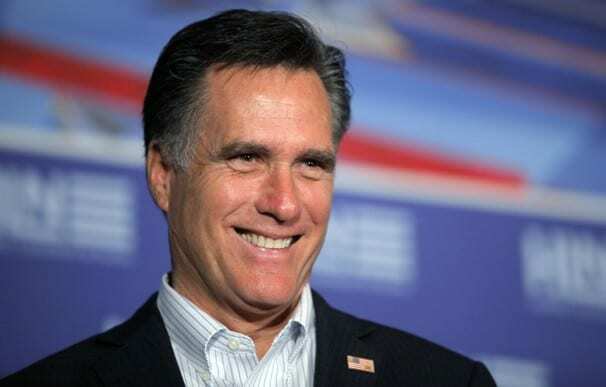 As recently as 2010, Mitt Romney approved of the individual mandate portion of the Affordable Care Act. In an interview with CBS News, Romney elaborates on what he feels are the similarities and differences between the Massachusetts health care law and the Affordable Care Act. My commentary is in bold. “We have an incentive for people to become insured and that incentive works – we have 98% of our citizens in Massachusetts who are insured, so that’s working. Another similarity is you can’t be denied insurance coverage if you have a preexisting condition (yahoo!!! ), or if you change jobs you don’t need to worry about losing your insurance. Your insurance is entirely portable (something crucial to innovation and entrepreneurialism, the alleged backbone of capitalism)…we also put together an exchange which allows individuals to buy insurance at very low rates because you have the entire state as a pool of citizens (thanks to the mandate). The difference is, our plan was a state plan – I believe in federalism (a notion dismissed by conservatives when it comes to issues like gun control and elections). I believe the 10th amendment gives to the states the right to create their own health insurance program (Congress has the right to tax and spend. It’s in the Constitution and was as recently as last week, upheld by the majority conservative Supreme Court). Ours didn’t raise taxes. The President’s does raise taxes by about a half a trillion dollars. (The Christian Science Monitor does a great job of breaking it down, details below the transcript). Number three – We didn’t cut Medicare. He cuts Medicare by a half a trillion dollars (see below). He is against government “price controls.” (I assume he’s talking about the fact that under the Affordable Care Act, insurance companies must spend 80% of their revenue on actual healthcare and if they don’t they must give a refund to policy holders). First is a surcharge of 0.9 percent on the Medicare taxes paid on wages of $200,000 a year for those filing singly or $250,000 for those who are married and filing jointly. In addition, there is a 3.8 percent tax on unearned income of over $250,000, such as dividends and capital gains. According to the congressional Joint Committee on Taxation, these taxes alone are estimated to raise $210 billion over 10 years or about 40 percent of the new revenue. Since Romney gets most of his income from passive investments, based on his income of $42 million over a two-year period, he would owe an additional $1.6 million. Another major tax increase is new taxes or fees on medical devices, drug manufacturers, and importers of medical devices. The Congressional Budget Office estimates this group would bring in an additional $107 billion over 10 years. There is also a surcharge on high-cost health-insurance plans, which will be mainly borne by the wealthy. Labor unions, which have given up pay increases for benefit increases, have a short exclusion from the surcharge. Over 10 years, this will raise $32 billion. And, finally, the legislation includes penalties on individuals who do not get insurance and companies that don’t offer it. The actual penalties start relatively low – a penalty of the greater of $95 or 1 percent of income in 2014, $325 or 2 percent of income in 2015, and $695 or 2.5 percent of income in 2016 and beyond. This is expected to raise $17 billion over 10 years from individuals and $52 billion from corporations. In other words, the taxes that will hit middle class people are tiny. This entry was posted on July 6th 2012 at 1:57pm/13:57 and is filed under Live News Column 1, Politics. You can follow any responses to this entry through the RSS 2.0 feed.